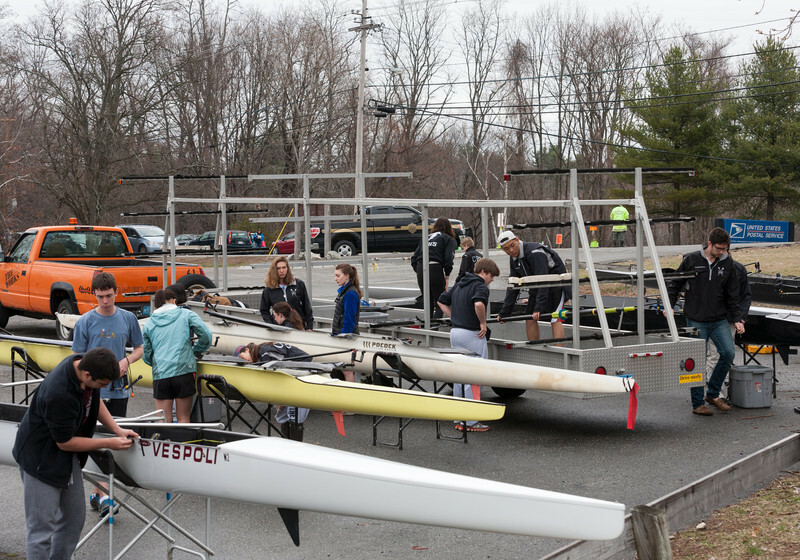 A high school crew regatta in April, with Cambridge Rindge & Latin School competing against private schools Canterbury, Bancroft, Worcester Academy, Hopkins, and Chase Collegiate, in a NEIRA qualifier race. Both our girls' and our boys' second boats came in first, and both our girls' and boys' first boats came in second. Our boys' third and fourth boats came in third and fourth in a headwind.